Did you know Guinness is the worldwide drink of choice to celebrate Irish culture? I’ve been to the Guinness factory in Dublin and it was such an interesting and fun experience! These delicious moist Guinness Chocolate Brownies are the perfect way to celebrate St Patrick’s Day (or any day you fancy a tasty chocolate brownie!) 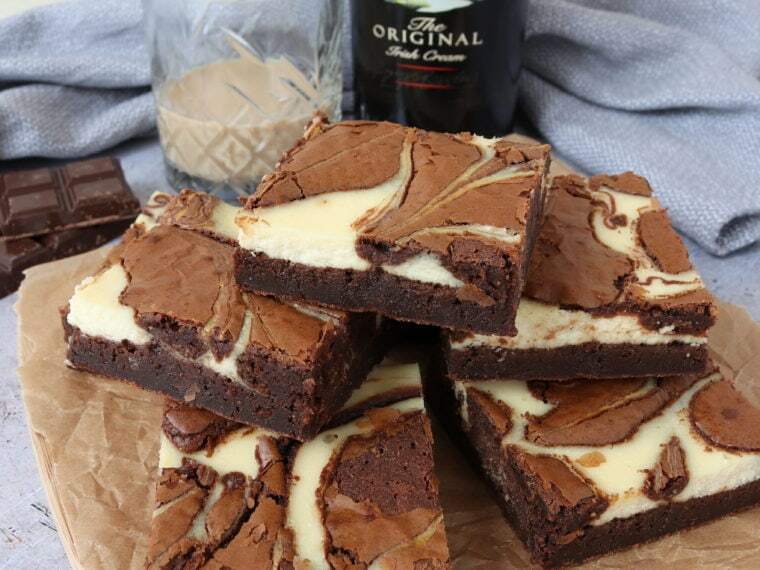 The addition of Guinness to the brownies intensifies the flavour and makes them super gooey and rich. I absolutely love Guiness in cakes and baking, my Chocolate Guiness Cake with Baileys Buttercream is my favourite cake ever! 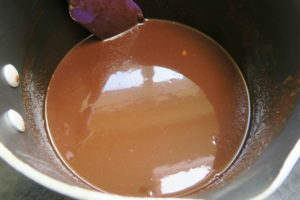 Then I added the chocolate mixture to the egg mixture and whisked it together. 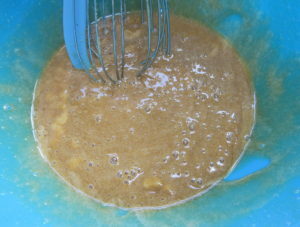 Finally I added the plain flour and baking powder and mixed it in. 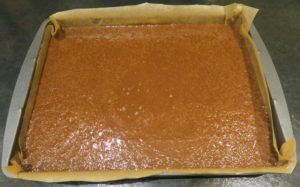 I poured the mixture into a baking tin and baked on 160C Fan/180C/350F/Gas Mark 4 for 30 minutes. 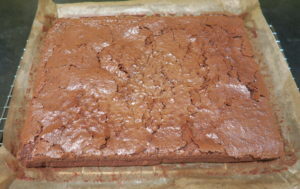 When the Guinness Chocolate Brownies were ready I left them to cool before slicing into squares. The Guinness Chocolate Brownies are so incredibly moist and fudgey! And warning, they’re rather addictive too! I highly recommend eating these warm! They would be amazing with ice cream. NB. 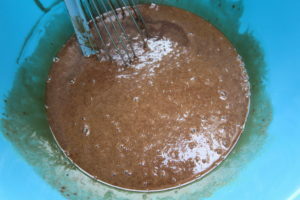 This post is NOT sponsored by Guinness – I just love baking with it! Thanks Charlene! They really were very moist! I love the idea of Guinness brownies. Bet they taste yum. Unfortunately Guinness is off our menu on account of the malted barley……. Darn!!! Ah that's a shame, maybe there is a barley free stout you could use? It goes so perfectly with chocolate 🙂 thank you! Chocolate & stout are two favourites of mine. 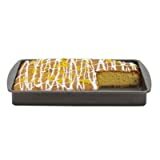 Coupled with brownies and you have a winning recipe! Ever tried them as a base for bread before. Equally tasty! Never thought of using it in bread before, thanks for the tip!